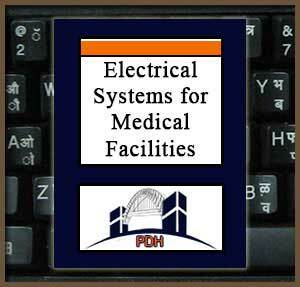 This course will introduce you to electrical systems for medical facilities, including hospitals, medical and dental clinics, and medical and dental laboratories. You will learn about general electrical requirements, exterior electrical systems, alternate power sources, interior electrical systems and lighting requirements. You will become familiar with system requirements, equipment needs, patient safety and system reliability. You will gain the overview you need to address medical facility design issues using applicable codes and standards of practice. This course is intended for electrical engineers and other members of the building design team who want to learn more about this critical aspect of medical treatment facility design. Learn about power supply criteria factors. Learn about power supply reliability and durability requirements. Learn about electrical requirements for Critical Care spaces. Learn about special requirements for Wet Procedure locations. Learn about normal power sources for hospitals and ambulatory care clinics. Learn about transients control in medical facility power systems. Learn about alternate power source requirements for hospitals, clinics and laboratories. Learn about emergency power engine-generator sets for medical treatment facilities. Learn about automatic power transfer switches in medical facility applications. Learn about automatic transfer switch and bypass/isolation switch testing requirements. Learn about ground fault protection equipment requirements for medical treatment facilities. Learn about fuel storage tank requirements for emergency power equipment.